Martin Haselböck appointed Musica Angelica's music director beginning with the premier Baroque ensemble's 2005-06 season, has distinguished himself in many ways on the international music stage. Equally at home with period- and modern-instrument ensembles, he has earned an outstanding reputation as a solo organist, an orchestral and opera conductor and composer. Haselböck's main focus lies in works of the Baroque and Classical periods. As a solo organist, he has performed under the direction of conductors Abbado, Maazel, Muti, and Stein, has won numerous competitions and has made more than fifty solo recordings. Additionally, he has conducted over 60 recordings, with repertoire ranging from Baroque to 20th Century vocal and instrumental works. This prodigious output has earned him the Deutsches Schallplatten Critics' Prize as well as the Hungarian Liszt Prize. While in his official role as Court Organist for Vienna, where he was responsible for an extensive repertoire of classical church music, Haselböck began an intense commitment to conducting, which led to his founding the now-famous Vienna Akademie Ensemble in 1985. With this period instrument orchestra, Haselböck established a year-round cycle of concerts for the Gesellschaft der Musikfreunde in the Great Hall of the Vienna Musikverein. Haselböck frequently guest conducts major orchestras including the Vienna Symphony, St. Paul Chamber Orchestra, Deutsches Symphonie Orchester Berlin, Dresden Philharmonic, Hamburg Symphony, Flemish National Philharmonic, Radio Orchestra Hilversum, the Toronto Symphony and the National Philharmonics of Hungary, Czech Republic, Slovakia, and Slovenia. In the United States, he has conducted the Pittsburgh Symphony, Philadelphia Orchestra, San Francisco Symphony, the Detroit Symphony and the Los Angeles Philharmonic. He has also been a guest with his Vienna Akademie as Artist-In-Residence with numerous festivals including those of the Cologne Philharmonic, Suntory Hall in Tokyo, and MozartFest in Würzburg. As an opera conductor, he made his debut with the Handel Festival in Göttingen. He regularly appears at the Zürich Opera and he conducted new productions of Mozart operas at the Theatre im Pfalzbau Ludwigshafen, using historic instruments for the first time in Germany’s modern history. In 2000-01 he created new productions of Händel's "Acis and Galatea," Gassmann's "La Contessina," and Haydn's "Die Feuersbrunst" with his Vienna Akademie, following in 2002 with productions at the Festival in Schwetzingen (Benda's "Il buon marito") and Salzburg (Händel's "Radamisto"). 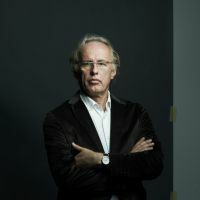 In 2004, he led productions of Händel's "Il trionfo del tempo" (Salzburg Festival), Mozart's "Il re pastore" (Klangbogen Wien), and Händel's "Radamisto" (touring to Spain, Istanbul, Venice, Israel, and the Concertgebouw in Amsterdam). 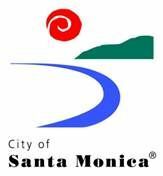 He also conducted the U.S. premiere of Porpora's "Il Gedeone" in a concert version with Musica Angelica in Los Angeles. When not conducting, Haselböck is busy unearthing long lost vocal/instrumental works in the dusty archives of Kiev and Vienna, finding unpublished gems by Biber, Porpora, Fux, Muffat, and the Bach family, which he transcribes and resurrects in historical re-creations for his Vienna Akademie Ensemble and festivals around the world. 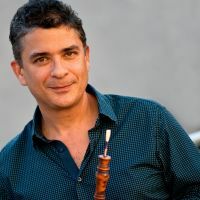 Gonzalo X. Ruiz is one of America's most sought after historical woodwind soloists and was recently appointed to the faculty of The Juilliard School. 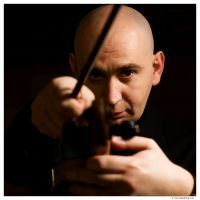 In recent seasons he has appeared as principal oboist and soloist with leading groups in the US and Europe with ensembles such as Philharmonia Baroque, The English Concert, the Boston Early Music Festival Orchestra, Sonnerie, and has been the principal oboist of Musica Angelica since its inception. He has performed under such conductors as McGegan, Savall, Manze, Antonini, Huggett, Goodwin, Haselböck, and Egarr. Critics have called him "one of only a handful of truly superb baroque oboists in the world" (Alte Musik Aktuell) and "a master of expansive phrasing, lush sonorities, and deft passagework" (San Francisco Chronicle).” For years he has taught at Oberlin Conservatory and the Longy School of Music and his former students now fill the ranks of many top groups across the country. He is an acknowledged expert in historical reed techniques and examples of his work are on permanent display at the Metropolitan Museum of Art. Equally accomplished on the modern oboe, Ruiz has been principal oboe of the Buenos Aires Philharmonic and the NewCentury Chamber Orchestra. Concertmaster, Ilia Korol, hails from Kiev and studied violin under Abraham Stern and Marina Iashvili at Moscow's Music Academy. Since 1997 he has lived in Austria where he performs regularly with Wiener Akademie and Martin Haselböck. In recognition of his artistic achievements he received Austrian citizenship in 2001. He has performed as concertmaster of the Musica Antiqua Köln filling in for the famous Baroque violinst Reinhardt Goebel on their tour of the United States, which included a performance at the Walt Disney Concert Hall. He has also performed with The Bach Ensemble with Joshua Rifkin, the Spanish Baroque Orchestra RCOC and is member of the ensemble Ars Antiqua Austria and the Clemencic Consort. He has performed in many important festivals and concert halls in the United States including the Boston Early Music Festival, Carnegie Hall, Berkeley Festival, and Salt Lake City. Ilia Korol has also been featured on numerous CD recordings. Cynthia Roberts is one of America's leading advocates of the Baroque violin. She serves as concertmaster of New York's Concert Royal (James Richman, director), and Cleveland's Apollo's Fire (Jeannette Sorrell, director) as well as making regular appearances in this role with Paris-based Les Arts Florissant (William Christie, director) and the New York Collegium (Andrew Parrott, director). In addition, she performs regularly with the North America's most prominent period instrument ensembles, including Tafelmusik, Philharmonia Baroque Orchestra, and the Handel & Haydn Society. She has also performed with the London Classical Players, Aston Magna, Mostly Mozart Orchestra of Original Instruments and the Taverner Players, and is currently a principal player of the Carmel Bach Festival. At age 12, Ms. Roberts debuted with Chicago's Grant Park Symphony, performing the Mendelssohn Concerto, and three years later appeared as soloist with the Boston Pops. Recent highlights include a national broadcast on NPR's Performance Today of Bach's Fourth Brandenburg Concerto, a solo performance of Bach's Sonatas for Violin & Violin & Harpsichord at the Mostly Mozart Festival, recordings of the complete Brandenburg Concertos and Monteverdi's Orfeo with Apollo's Fire, chamber music at the Prague Festival and the Boston Early Music Festival. 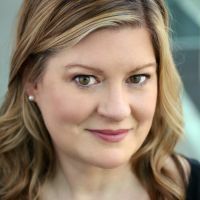 She has made more than fifty recordings on such labels as Sony Classical, BMG/Deutsche Harmonia Mundi and Electra, as well as numerous broadcasts for NPR, CBC and WDR. Ms. Roberts is on the faculty at The Julliard School and the University of North Texas. Michael Oman is an internationally renowned recorder soloist and ensemble leader. As a Baroque specialist, he is now one of the most prolific and versatile recorder players of his generation. He is a graduate of the Music School at the Bruckner University in Linz, Austria and has studied with Walter van Hauwe and Kees Boeke at the Conservatorium van Amsterdam, The Netherlands, and with the Austrian composer and musician Baldwin Sulzer. Already at the age of 26 he became professor of recorder, chamber music and historical performance practice at the Bruckner University in Linz. For many years this exceptional Austrian musician has impressed public and press alike with his unbounded energy and joyful music-making, and with his period instrument band has conquered the national and international music scene. His extensive repertoire ranges from medieval ballads and the rich literature of the Renaissance Consort to early and high Baroque sonatas and concerti and contemporary music. 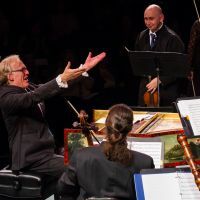 In 2001, Michael Oman started the Austrian Baroque Company, a group specializing in the original sounds of the music of the 17th and 18 Century. The Austrian Baroque Company brings together chamber music specialists trained at leading European music universities who are dedicated to playing on period instruments. The main focus of their repertoire is the vast store of instrumental and vocal music of the 17th and 18th Centuries. In 2009 he and his Austrian Baroque Company, started a collaboration with Sony Music (German Harmonia Mundi) with two CD recordings: "Exit baroque" and Handel's "Nine German Arias" with the Spanish soprano Nuria Rial. 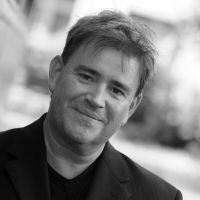 Michael Oman's CD recordings have won several international awards. His recording of "Sweet silence , gentle Source" ( with the ABC and Nuria Rial) in 2010 was awarded the Orphée d'Or of the Académie du Disque Lyrique. In addition to his teaching activities as a lecturer at seminars, workshops and master classes, he is also focuses on contemporary recorder music. He has premiered works by Isang Yun ("Chinese Images"), Luciano Berio ("Gesti") and Karlheinz Stockhausen ("In Friendship"), as well as many of Austria's top contemporary composers. As an artistic curator since 2007, he oversees the concert series "Music in the evening" in Linz and in 2009 and founded the "Eferdinger Palace Concerts."